Waterford County Museum are delighted to welcome well known author, lecturer and film maker Aidan O'Hara to speak in the Town Hall Theatre on Friday September 7. Aidan O'Hara, has worked as a presenter and producer with RTÉ (Raidió Telefís Éireann - Irish National Broadcasting) and CBC (Canadian Broadcasting Corporation). Aidan is engaged in writing full-time, but stays in touch with broadcasting through his regular contributions to Radio Telefís Éireann and Raidió na Gaeltachta. His biography on the legendary Delia Murphy,'I'll Live 'Till I Die' was highly acclaimed as was Aidan's story of the Irish in Newfoundland, Na Gaeil i dTalamh an Éisc, was published in 1998. His paper "The Irish in Newfoundland" was published in The Emigrant. He presented three acclaimed Radharc documentaries on the Irish of Newfoundland on RTE. He is currently writing a book on the Irish in the era of the American Civil War 1861-65, and his chapter, 'Judge Charles Patrick Daly (1816-99)' is due for publication next year in "Irish Soldiers - American Wars". His is a keen historian with a special interest in the Irish emigration experience. 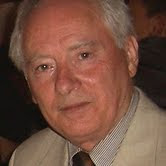 Aidan is Chairman of the Emmet and Devlin Committee and co-founder of the Association of Canadian Studies in Ireland. Aidan's PowerPoint presentation will illustrate the strong Waterford connections with Newfoundland. He will be drawing from his own fieldwork researches in the 1970s while doing postgraduate studies at Memorial University of Newfoundland, and will play extracts from his three Radharc/RTE film documentaries of the 1980s and from his recordings in the 1970s in Newfoundland and Waterford. This promises to be one of the highlights of our upcoming lecture season. Refreshments will be served after the event. So come, meet and chat with Aidan and his wife, Joyce who is an author and songwriter in her own right on the night.